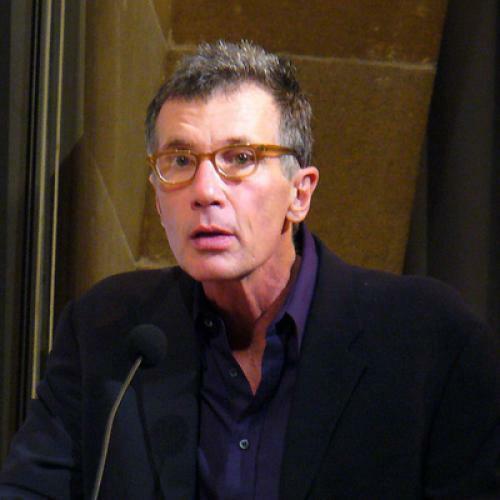 After two bouts of heavy channeling (Virginia Woolf in The Hours and Walt Whitman in Specimen Days), Michael Cunningham has found his voice again. It is still a voice crowded with influence: the first page of his new novel quotes Ulysses, and subsequent literary references—to Shakespeare, Mann, Eliot, Fitzgerald, Tolstoy, Dante, and Proust, to name only a few—abound. On top of this dense field of allusion, the plot is filtered through a dozen artists’ visions. At the Metropolitan Museum of Art, Cunningham’s characters encounter Damien Hirst and Rodin; later, the protagonist contemplates El Greco, Manet, Seurat, and Agnes Martin among others. A plot constructed upon such a prolific recitation of cultural objects and references might appear merely a dilettante’s dilemma, but By Nightfall becomes a deeply moving, precisely rendered story. Despite the abundance of allusion, barely a word in this novel feels false or misplaced. In his search for transcendence, Peter is often confronted by the imperfect realization of his vision. As a child, he attempts to make a birdhouse for his mother, wooed by the Technicolor saccharine-sweet picture on the box. The project fails when Peter unpacks the “inert and unpromising” materials: “The pale biscuity brown of the fiberboard might have been the color of discouragement itself.” In adolescence, he falls in love with his older brother’s best friend Joanna. At the height of his infatuation—as Joanna “is demonstrating the concept of desire by way of her rounded buttocks half covered by the V of her cantaloupe-covered bikini bottom”—Peter feels, “a pure, thrilling, and slightly terrifying apprehension of what he will later call beauty, though the word is insufficient.” If the word inadequately conveys Joanna’s shimmering, evanescent condition, it becomes a total misnomer when Peter encounters the stolid adult Joanna, married to a “luggish boy she meets at the local junior college” and living in a planned community. Peter’s disappointment extends to his daughter Bea and to his wife Rebecca, both of whom once embodied certain ideals, but have slackened and tarnished with age. Catching a glimpse of someone who resembles his wife, he thinks of “the young Rebecca… striding into the surf, slipping out of a white cotton dress, standing on the balcony of that cheap hotel in Zurich.” Rebecca is “is wonderful,” Peter states, “but she is no longer that girl.” His more acute distress over his college-age daughter is the result of a more pronounced transformation. Once “a child squealing ecstatically in his arms,” she has become, to Peter’s mind, “a tough, sharp-faced girl with machete and pistol, come down from her village to confront him with his crimes. He was indifferent to the needs of her people, he grew fat at their expense, his glasses were pretentious, he forgot to pick up her dress at the cleaner’s.” Peter loves both his daughter and his wife, but at moments of frustration his anger mixes with his affection, and he flails internally against the binds that they represent. Peter’s disappointment at the lackluster elements of his own life leads him into an entanglement with Rebecca’s glamorous, troubled younger brother Mizzy. Mizzy descends upon Peter’s and Rebecca’s Soho loft after an aborted attempt to find himself at a shrine in Japan; he arrives at the loft with a drug problem and the desire to do “Something in the Arts.” Mizzy is beautiful, “ephemeral,” “youth personified,” with the “glamour of self-destruction.” In Peter’s mind, Mizzy is the human embodiment of what he has made it his career to seek: “a living work” of art. Mizzy brings Peter’s most ardent desire—to experience authentic beauty, that “dark gold nimbus studded with living lights”—tantalizingly close, and he contemplates upending his life to obtain even greater proximity. But, predictably, the reality of the situation falls short of Peter’s expectations. Thinking himself in the presence of the divine, he finds himself in a mess of misunderstanding that threatens the things that he, ultimately, most deeply values. Peter crashes after flying too near the sun, but he understands, as he is falling, that the rest of the world is carrying on; and that his wrongdoing is but a small drop in the vast bucket of good and bad deeds. “You are guilty not of the epic transgressions but the tiny crimes,” he tells himself. His larger crime, he realizes, is the cumulative effect of his smaller ones: a failure to extend sufficient empathy and patience to his family. Ironically, Peter perceives the predicaments of strangers—a cab driver has “has his own story … He might have been a doctor where he comes from. Or a laborer. Or a thief”—but he tunes out the mortals who are closest to him, who have not only been eating and opening windows but also confronting their own demons and desires. At one point, Bea accuses her father of taking a phone call during her high school performance of Our Town. Not only does Peter not recall this supposed transgression, he cannot imagine the antagonism from which Bea’s charge might stem. In a final, heartbreaking twist, Peter realizes the most significant consequence of his obliviousness. The pettiness of Peter’s foibles leading up to this final twist and its consequent epiphany does not diminish the magnitude of this novel. In many ways, it is the quixotically lofty nature of Peter’s aspirations and the recognizably trivial nature of his mistakes that make him so identifiable and sympathetic. At one point in the novel, Peter makes the obvious point that “we don’t care about Emma Bovary or Anna Karenina or Raskolnikov because they’re good. We care about them because they’re not admirable, because they’re us.” It is an idle thought, but it is given weight by his subsequent observation that we care about these characters “because great writers have forgiven them for it.” Cunningham has not quite created an Emma or an Anna, but he has created a character whose fearfully familiar flaws show a remarkable writer at work. Chloë Schama is the assistant managing editor of The New Republic.